I picked up the LG Incite about 6 months ago as a replacement for my AT&T Tilt when its ROM got fried. At the time I couldn’t make up my mind regarding what phone I wanted and I had been trying to hold out until later in 2010 when WinMo 7 releases and a new slew of windows mobile smartphones hit the market. 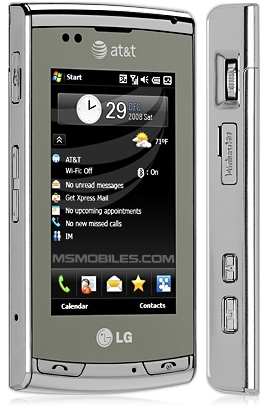 However I had to find something so I ended up deciding on the LG Incite. This however turned out to be a huge mistake. To put it simply, the phone is terrible. It is completely underpowered which results in sluggish performance that makes it nearly unusable. However, I decided to make the best of it and here are some of the tweaks I found that have made the phone more bearable and functional. If you happen to be stuck with an Incite you might want to try some of these out. For starters make sure to update to the latest ROM here. The performance boost was minor but any improvement in this area is worth it. Invest in a good contact manager. Normally I would recommend PointUI here but I have had significant issues getting it to run on the Incite. Instead I ended up getting Resco’s Contact Manager. It runs $24.95 but I have been very pleased with it and I think it is worth the price. As far as mobile browsers go I would have like to run skyfire or opera but both seemed to have issues with the Incite. I settled on the preinstalled Netfront browser which is a distant third but at least works. One problem here is that after a few months it actually stopped working giving an error message that it was trial software and then kicking me off the browser. The ROM update above fixes that issue. I also use a Red Fly Mobile Companion for when I need to do any prolonged work on the Incite. I wouldn’t say that it is a must have but the $250 version includes a media port so you can display video content from an iPod on its 8″ screen. One word of warning here is that recorded TV, videos, you tube clips cannot be played from the incite to the Red Fly in any watcheable format. Most cell phones use USB 1.0 which just can’t handle the amount of data need to stream video without it being choppy. Hopefully this will get me through to October or November of this year when some of the more exciting and powerful windows mobile smartphones will be released. I distilled these tips from the most recent issue of Budget Travel and definitely plan on taking this advice on future trips. For trips that involve multiple destinations, pack your bags for the family by destination rather than by person. So if you are staying in one place for two nights and another location for three, dedicate a bag each to the two different locations instead having each family member pack their own separate bag for the entire trip. This way you only need to unpack one bag at each destination rather having each family member unpack a separate suitcase every time you check in. Keep a travel journal and send postcards from your destination to enhance your long-term memory of your travels. Studies have shown that when you write during your travels it assists with increasing retention of your travel memories and experiences. A good way to get started is to keep a journal leading a few weeks into your trip where you can detail out your packing checklist, sites to see and destinations. Once you are on your trip or vacation send postcards using a who, what, where, when and why approach to briefly summarize what you have been up to and share your experiences with your friends and family. Have each person travelling with you enter in their emergency contact information into each others cell phone. This is one of those just-in-case measures but having everyone share their name of emergency contact, contact info, date of birth etc. and keeping it available in your respective cell phones means that should you need this info it will be there when you need it. It only takes a few minutes and should provide peace of mind. I would be careful to limit this just to names and contact info and exclude things like social security numbers or other information that could be used by identity thieves should a cell phone become lost or stolen. Here are a few sites dedicated to finding the right/best hotel for you. 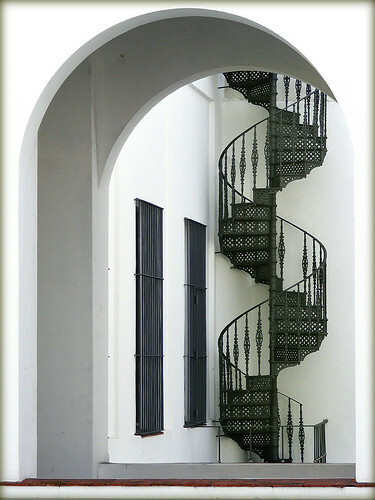 Many travel search engines don’t provide you with a lot of information about the logistics of your accommodations. Each of these sites serves a specific function in helping you determine whether the hotel is right for you. Hotelicopter.com – Hotel search that includes a rating system that connects to your facebook friends so you can get reviews from sources you trust. The only limitation here is that it only works to the extent that your friends have actively reviewed hotels through the site. SeeYourHotel.com – This is a location based hotel search tool so you can see a map of where each hotel is located. It provides pin points you can select to track which hotels you have considered. TVTrip.com – The video reviews on this site let you virtually tour the hotels so you can see for yourself what the amenities are. If you are a fan of stouts, like Duck Rabbit Milk Stout, Breckinridge Oatmeal Stout or Young’s Double Chocolate definitely give Left Hand Milk Stout a try. Left Hand Brewing Company is based out of Longmont. CO and began brewing in 1994. Their milk stout is a full-bodied mix of roasted malt and coffee flavors. There site Left Hand Brewing has recipes and pairings for each of their beers. I included the recipe for a Milk Stout Mole below that I thought looked particularly good and which I am going to give a try in the near future. For those of you in Charlotte, I have found Left Hand Milk Stout on tap at Ed’s Tavern on Park Road and Dilworth Neighborhood Bar and Grill on Morehead Street. You can also find it for purchase at Brawley’s Beverage on Park Road. There are many arguments for and against the redistribution of wealth via taxation and other mechanisms and volumes have been written regarding the subject. One argument that I commonly hear used though that I want to challenge is one that invokes John Rawls’ Theory of Justice. Rawls is famous for his ‘veil of ignorance’ approach to tackling moral dilemmas. I have found this approach to solving moral dilemmas to be extremely useful as it provides a mechanism for forming a basis for what constitutes an individual’s rights. However, one conclusion that is drawn by Rawls and many others that use this approach is that a redistribution of wealth is a basic right. Since I like the theory but disagree with one of the conclusions here is an attempt to reconcile the two. 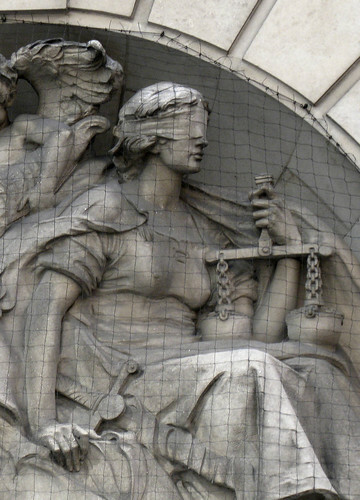 As an abbreviated introduction to Justice as Fairness, the basic idea is that in determining what rights an individual is entitled to we should look to what is ‘fair’. Fairness can mean a lot of things so Rawls came up with the concept of a veil of ignorance to provide a thought experiment for determining what was fair. The veil of ignorance thought experiment works by assuming you are in such a state that you are totally unaware of what your life will hold for you, what station, race, culture, creed, etc you will be born into, your physical and mental attributes and what environment you will have to survive in (lush and resource rich or barren and destitute). In this state, the things that you would agree to would constitute ‘fairness’ and those agreements would constitute rights. So as an example, under the veil of ignorance a rational and reasonable person would probably agree that they should not physically harm or assault another person, since you would not know in advance whether you would be stronger than a would be aggressor or weaker and unable to defend yourself. Therefore you would conclude that everyone has a right not to be assaulted by another. I selected this example because it is a case where the moral principle is supported by most other moral theories and common sense morality. So now let’s turn our attention to the argument used for claiming that a redistribution of wealth is also a basic right. This will also be an abbreviated form of the argument but in essence it can be described as; A rational person under the veil of ignorance would agree that some sort of safety net should be in place in the case that one is born into a vastly inequal social and economic condition. This in part leads to a principle Rawls called the difference principle which suggested that inequalities in society should work to the benefit of the least advantaged. From this the argument goes to claim that when vast economic inequality exists, for those at the top of the economic spectrum some percentage of redistribution has very little disadvantage, while at the lower end of the economic spectrum the redistribution is a tremendous economic advantage ($20,000 to a billionaire is chump change but it’s life or death to someone at the poverty line). Therefore, those at the lower end of the economic spectrum have a right (read: entitlement) to a redistribution from the top. Ok, so where is the flaw? Well, let’s begin with a bite the bullet appoach. Let’s say nothing is wrong with the argument. Can we then conclude that a redistribution of wealth is a basic right? Well, maybe but it would tell us nothing about what that redistribution should look like, what constitutes vast inequalities in the social and economic spectrum, etc. (although it does seem that it would support a progressive tax system). This is an unsatisfying conclusion since it does not provide anymore insight than what is contained in the thought experiment itself, so let’s look at another potential flaw. Part of the difference principle is the consideration that those with comparable talents and motivation face roughly similar life chances. As an example; two ‘A’ students should have an equal chance of gaining entrance to the same school irregardless of whether one of the students father knows someone on the application committee, makes large alumni contributions, is a legacy, etc. It also means that neither student should gain preference because they are of a particular ethnicity, religion or cultural demographic. What I want to key in on here is the concept of motivation. The ‘right’ to a redistribution under the theory of justice argument hinges on the idea that all parties are equally motivated (in their work ethic for instance) and that the inequality that arises is not for lack of trying but for lack of resources. This would seem to rule out the idea of any sort of universal right due to its contingent nature. Neither of these are really slam dunks for making the case that justice as fairness does not require a basic right for a redistribution of wealth. Let’s look at one more case that might be more compelling though. Let’s consider the case in which there are insufficient resources to accommodate everyone no matter how they are redistributed. Using the veil of ignorance this is one case that would need to be contemplated in addition to all others. Let’s assume that there are only enough resources to support 100 people but the population grows to 120. In this instance the consequences are either 20 will starve (bad case) or there is a redistribution from the 100 to the 120 and all 120 starve, just more slowly (worst case). As a rational person I would rather take my chances that I am not in the 20 that starve, rather than require a redistribution and guarantee that everyone starves. I would go even further to say that if I was one of the 20 I certainly wouldn’t want the guilt of being responsible for all 120 starving. You might say that, well in the US there is plenty of wealth to go around so this is not a practical example. However if you are to use the veil of ignorance to support that a redistribution of wealth is a basic right it should contemplate all potential scenarios or else its value for determining fairness is purely arbitrary. When it comes right down to it, retirement planning is all about deferring current income so that someday in the future when you choose or are unable to continue working you will have sufficient wealth accumulated to support yourself. Conventional wisdom has always held that you should start saving early and defer 10% of your income to build a sufficient nest egg for your golden years. This is reinforced by the federal government as well in the form of tax preferences for retirement vehicles such as, 401k plans, IRAs and other cash or deferred arrangements (CODA) as well as why the government holds back 6.2% (12.4% for us self-employed) of every paycheck for Social Security. Of course the opportunity cost of this is that you must give up some of your disposable income currently that you would otherwise be using to enjoy and experience life now. The argument here has always been that giving up a little now (passing on going out for a nice dinner, deferring big ticket purchases like a new car, etc.) will pay off in the end when you get to spend your retirement travelling, taking cruises and playing golf. The dilemmas though is that many activities that you may desire to engage in may not be suitable in your older years as your health or other factors may limit what you can do. As life expectancies continue to increase and with the insolvency of the Social Security system most have also come to realize that retirement may include some part-time working or consulting to make ends meet which may infringe on the freedom that was once associated with retirement. So with all this in mind, what should those early in their careers do when it comes to saving for retirement? I personally followed the conventional wisdom for the first 10 years that I saved for retirement. Once I had been working for a few years and my finances had stabilized I actually increased my savings from the requisite 10% to around 20%. When I got married my wife began contributing a similar amount as well. Our thinking was that by doubling up so to speak on the savings, we would have a better shot at being able to retire early. The reality though is that because of the time value of money it is unlikely that you will be able to significantly move up your retirement date based solely on the earnings and contributions you make to your retirement account. This is because the major growth in your retirement account occurs in the later years. For example, if you start with a $25,000 investment that earns 10% a year, you can expect it to double in about 7 years to $50,000 (applying the rule of 72). 7 years later that $50,000 will double again to $100,000 which is still a far cry from the $1M or $2M you are going to want to accumulate for retirement. 21 years from your initial investment you get to $200,000, in 28 you’re at $400,000, in 35 you’re at $800,000 and when you finally get 42 years down the road you hit $1.6M. So based on this the earliest you might even consider retirement is some 35-42 years after you start. For some that might be an early retirement but for most who start saving in their 20’s you’re looking at your 60’s. At this point you may have noticed the example above is based on a one-time lump sum investment of $25,000. This might lead you to argue that the reality is that retirement savings occurs over a number of years where you are making contributions each year that are then compounding on top of each other. Although this is true, keep in mind that the contributions you make later in life will have less time to compound and because you will be nearing retirement age those later contributions will likely be in more conservative investments thus growing even slower. Also to provide some perspective, by following the traditional approach of putting away a percentage of each paycheck it took me nearly 5 years to save my first $25,000. By the end of 10 years between my wife and I saving at an increased rate of 20% of our annual income we were able to accumulate $125,000 in retirement savings. Although we took great pride in this accomplishment we were nowhere close to an early retirement and I personally wondered at what sacrifice had this been made. What opportunities had we foregone? I also came to question that if early retirement was not achievable by means of traditional retirement investing methods, does it make sense to continue socking away 10-20% a year. After running the numbers it became clear that with the $125,000 that had already been accumulated, we had already hit a critical mass. All I had to do was keep it invested and by the time I reached normal retirement age it should have increased to around $1.8M. That of course assumes an annual rate of return of 10% over 28 years. Since in reality the retirement portfolio may not hit 10% each year I needed a way to insure that the account accumulated as planned. Thus I adopted a target pension plan strategy. With this approach I no longer make any retirement contributions unless, at the end of the year the retirement account has not accumulated 10% over the beginning of year balance. In the case when it is short, I make a one-time annual contribution to bring it up to the level it needs to be at to stay on the targeted 10% return per year. So for example for 2010, the account balance starts at $125,000 so my target earnings are $12,500. By the end of the year the account needs to grow to $137,500 in order to stay on target. If it only grew to $130,000 then I will make a $7,500 contribution to bring it back up to the target amount. If it is over than that acts as a buffer against future year’s when/if there is an underperformance. Many of the rules for traditional retirement planning still apply to this approach. Most importantly starting early is the key to making this or any retirement plan work. As described above, it’s the dollars that you put in during your 20’s and 30’s that are going to really grow into something formidable. Everything after that is just playing catch-up. Whether you put in 10% or 20% in your initial accumulation phase will be a factor in how quickly you hit the point of critical mass where you don’t need to really fund the account anymore and can just let time and the market do there work. As noted above if you go for 20% you are definitely going to have to make some sacrifices (I have been driving the same car for the last 10 years) but it won’t make you a pauper either (my wife and I have been to Hawaii twice and the Bahamas in that same time period). Some of you may question whether you would have the discipline to make your annual target contributions in down years without the benefit of payroll deduction. I would suggest continuing your payroll deduction but instead of placing it in the retirement account have it deposited in an interest bearing money market account. At the end of the year, if you hit your target retirement account balance use the savings to pay for/off your Christmas gift giving expenses or to go on a nice vacation the following year. I picked this book up based on a review of it by Tim Ferriss. Of particular interest was Strauss’s investigation into obtaining dual citizenship and its associated advantages. The book begins with Strauss’s introduction into the world of doomsday cults and survivalists. He quickly learns that these fringe elements are not solely limited to isolated rural compounds in the middle of nowhere but extend even into wall street and the ultra-wealthy. Although his initial goal is simply to identify a means of leaving the country in a worst case scenario, his journey eventually leads him to seek instruction in many of the survival skills he once associated with extremists. The array of topics is broad but all are tied into the same theme of surviving in the face of an emergency or disaster.